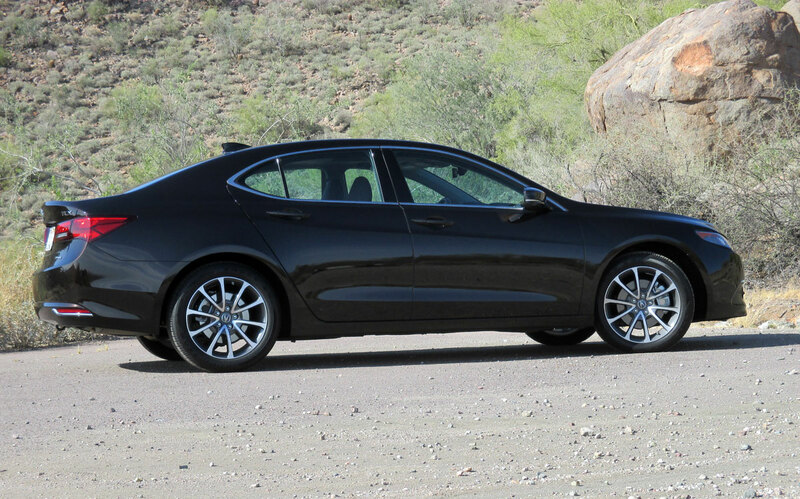 With all-new styling this may be the most handsome looking TLX to date, though it is still mild mannered compared to some of its competitors. Lines are cleaner and better thought out, proportions sleeker, and its overall presentation more upscale. 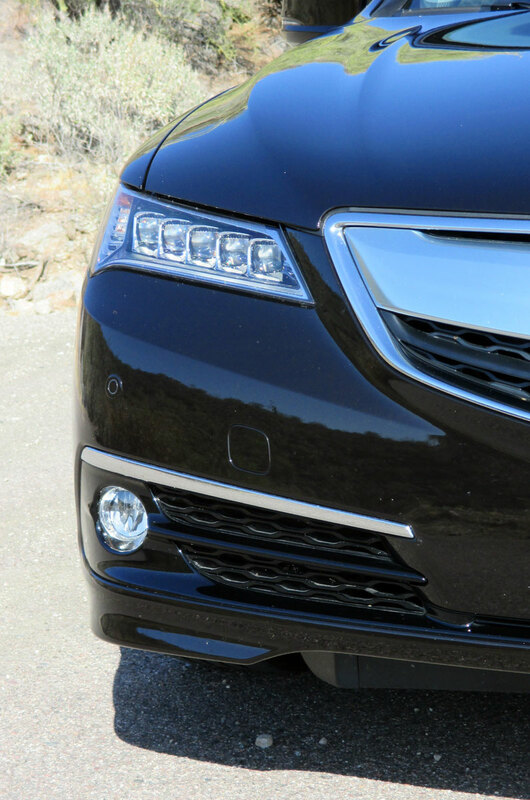 It gets Acura’s latest Jewel Eye LED headlamps which are not only distinctive in its class but now define the brand’s style. The solid and thick aluminum trimmed grille treatment is an evolution of previous models. 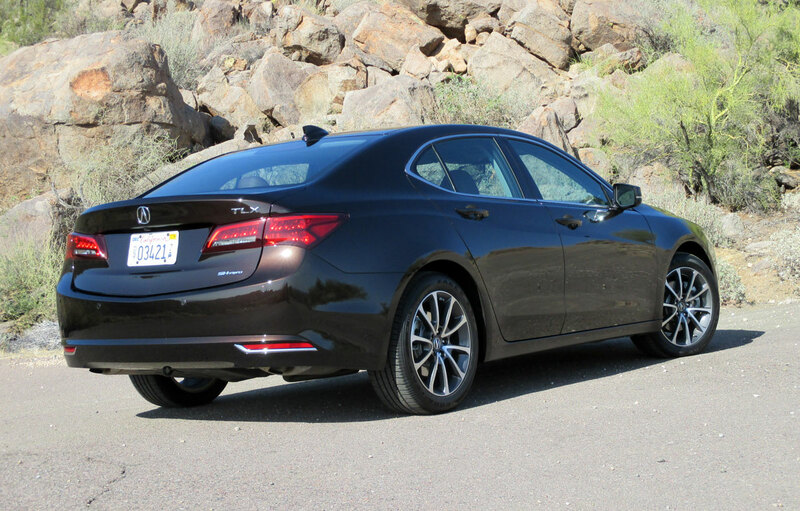 At the rear, the TLX has a contemporary stance with the latest in LED tail lamps, and like the larger RLX doesn’t emphasize its dual exhaust with large ornamental outlets. 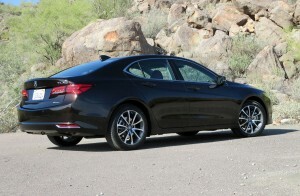 Instead they hide up under its subtle rear fascia. 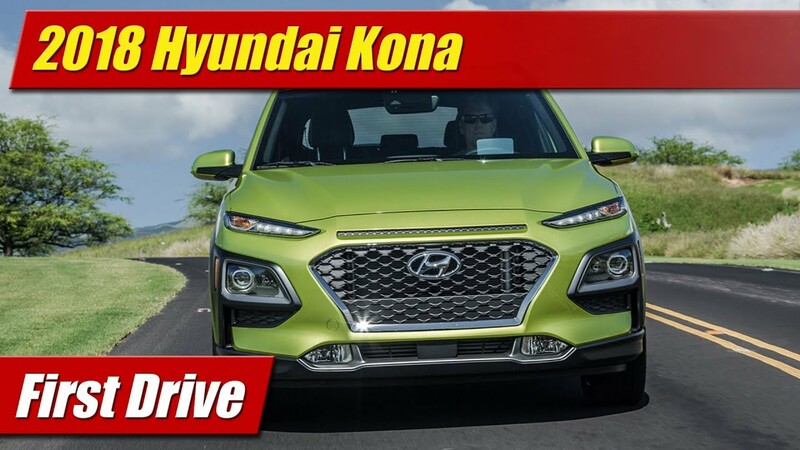 Overall, the silhouette is more balanced and less over styled than last year’s model and manages to look well to scale with its 18-inch alloy wheels which are becoming the smaller in its competitive set. 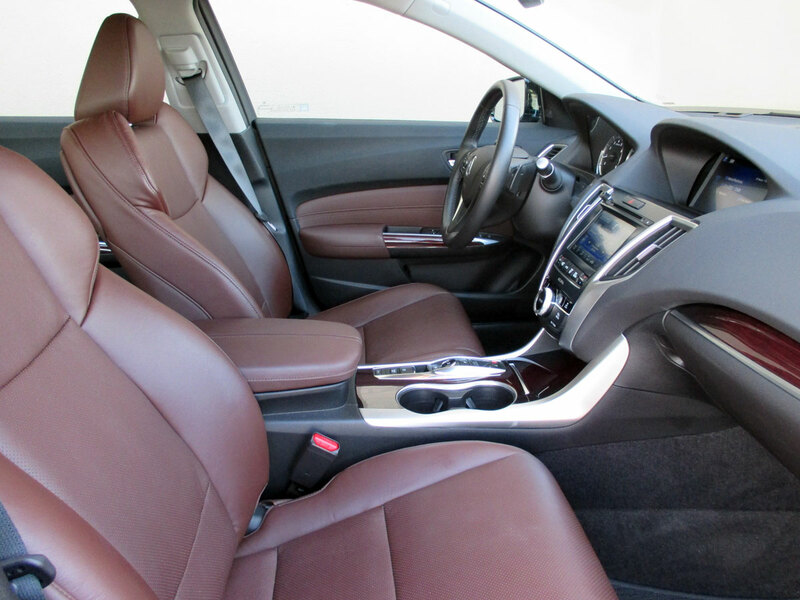 Inside our Black Copper Pearl tester we found warm hues of rich espresso leather hides on the seats. 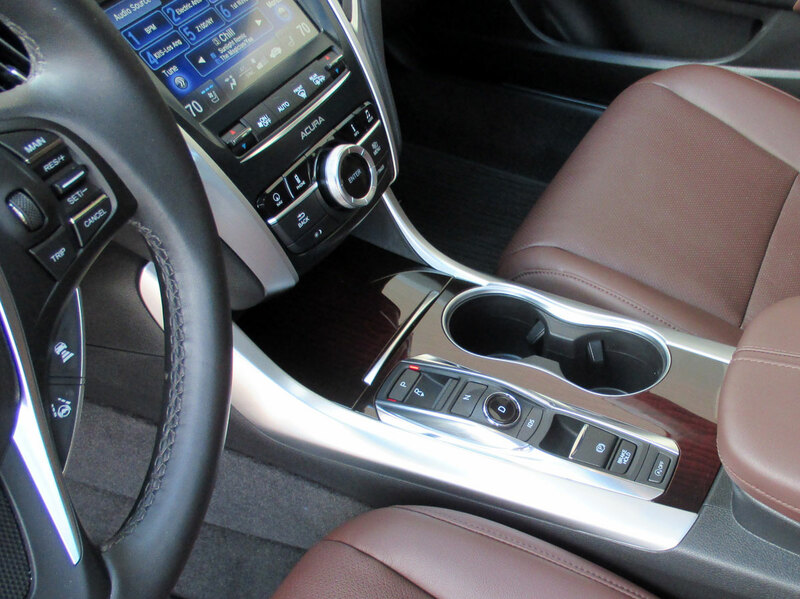 Tastefully finished wood-grain trims along with aluminum accents went along way to giving a nice luxury club feel. Is the wood real? It might be or might not, our literature was sworn to secrecy. 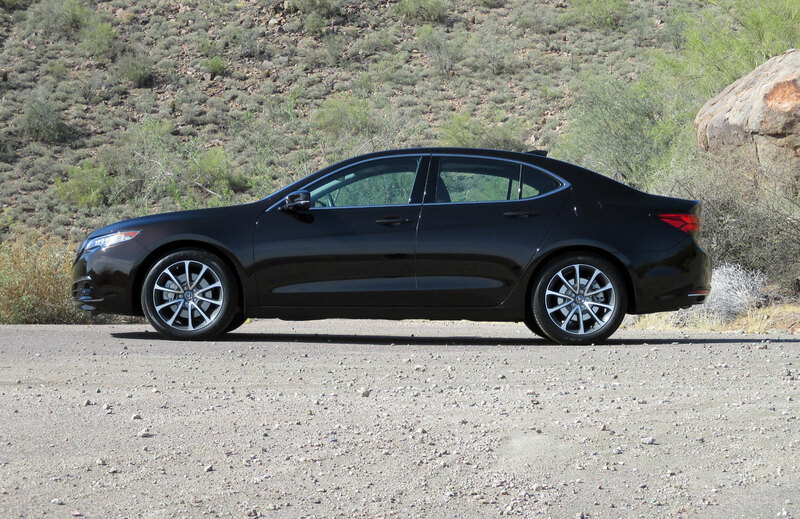 But as equipped ours featured heated and ventilated front power seats which were a nice balance of firm and supportive for both aggressive driving and long freeway stints. The driver has memory settings for them, but as the steering wheel position isn’t included as its adjustments are not power. 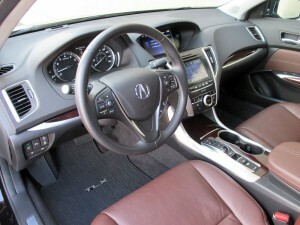 On the steering wheel was a dense packaging of several controls as well as quality feeling paddle shifters. The overall dash design I thought was very well laid out and pleasing to the eye. Fit and finish both were remarkable as Acura has been known for and during our week, not a rattle, squeak or creak could be heard. Looking at the center-stack you will find not one, but two large screens. One is for viewing, the other a touch screen for a myriad of controls from audio to navigation, and HVAC to various settings for the car. Learning its complexities took some time and effort, but I got it down I liked it. Liked more was the quality from its ELS audio system which was quite impressive. With 10 speakers, a subwoofer and Dolby 5.1 surround it was just a treat to put on my favorite music and just drive anywhere to listen to it. 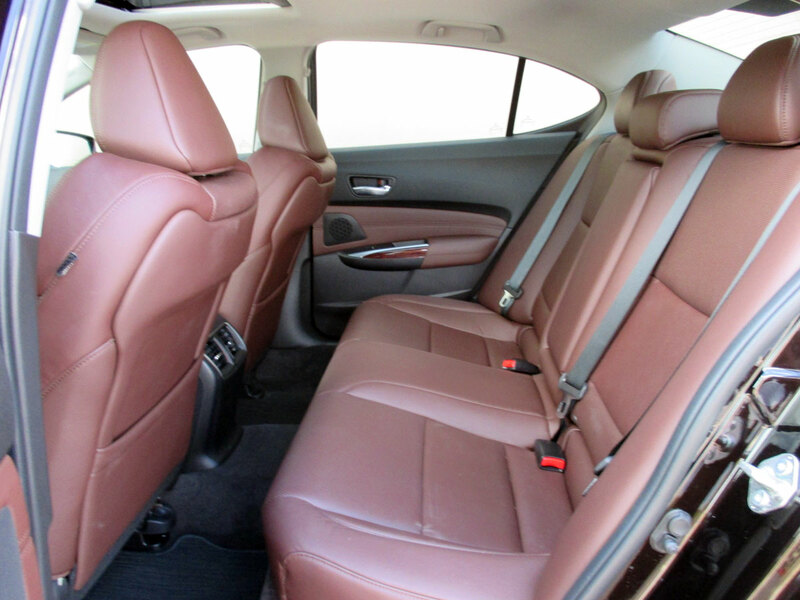 Rear seat passengers will enjoy plenty of space to stretch with a comfortable seating position. 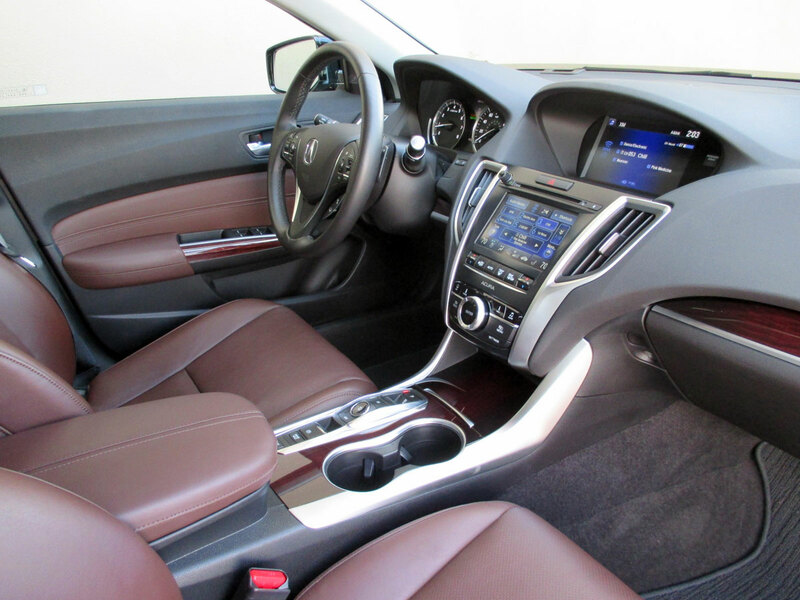 There’s a center fold down armrest and HVAC vents mounted at the rear of the center console. They can also fold in a 60/40 split for increased cargo storage. 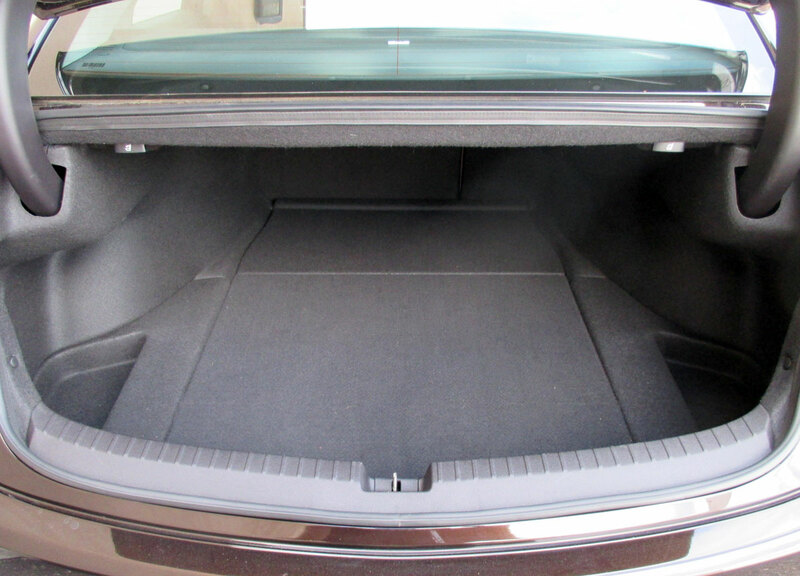 The trunk itself is quite sizable and lined with an above average quality of trims. 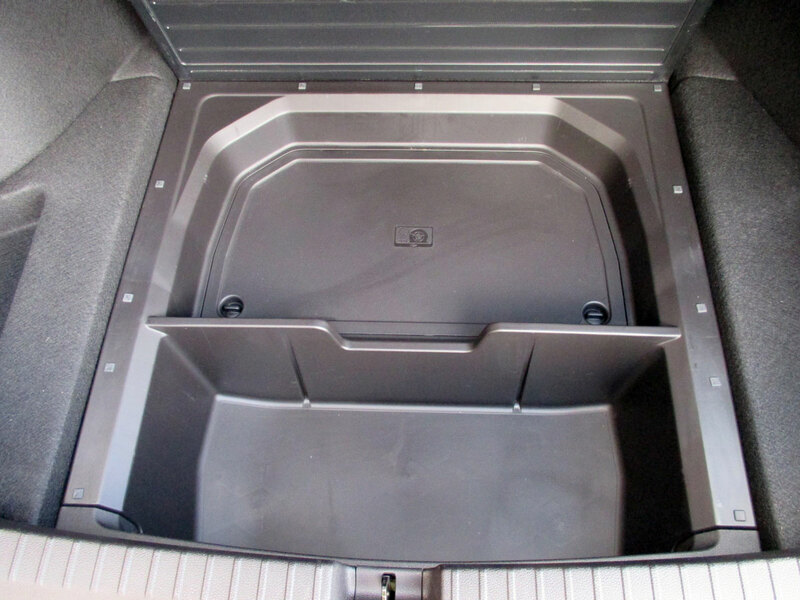 Under the primary load floor is additional storage areas afforded by space that a spare tired does not take up since there isn’t one. 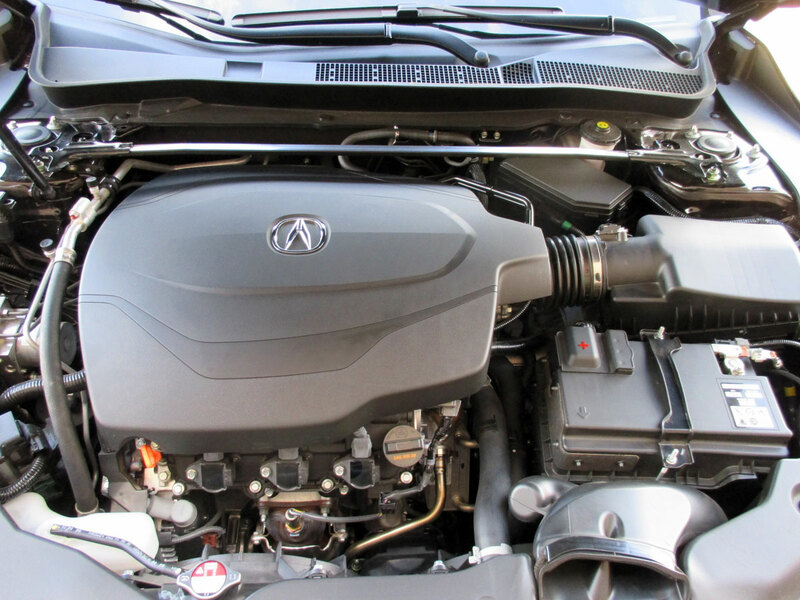 Under the hood is the latest generation 3.5 liter V6 now with 290 horsepower by way of direct-injection and variable valve timing. 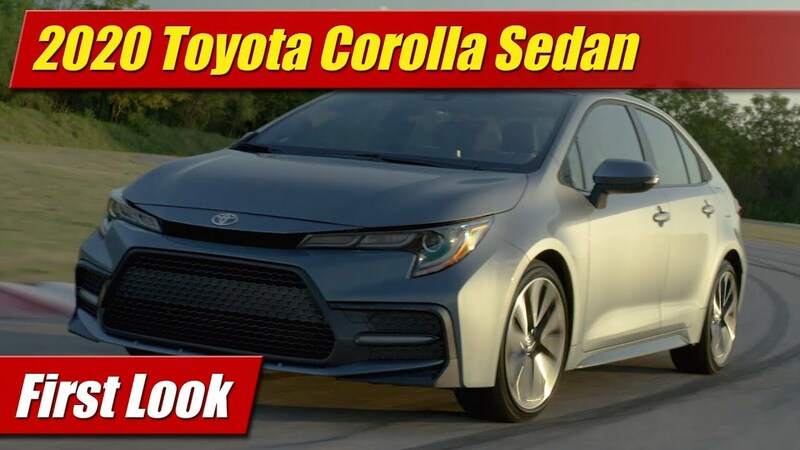 It comes mated with a nine-speed automatic transmission and has various fuel saving features like auto-start stop and cylinder shut-off where it runs on half its cylinders when extra power isn’t needed. 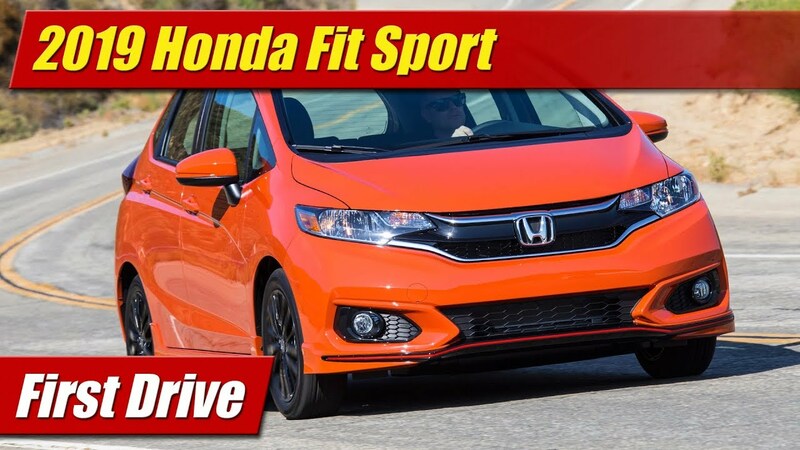 Its nine-speed automatic can be controlled manually via steering wheel mounted paddle shifters and it parameters vary greatly depending on the drive mode you have it set. The console mounted selector offers ECO, Normal, Sport and Sport + settings. And best of all, it remembers your chosen mode when you turn off the car and come back. 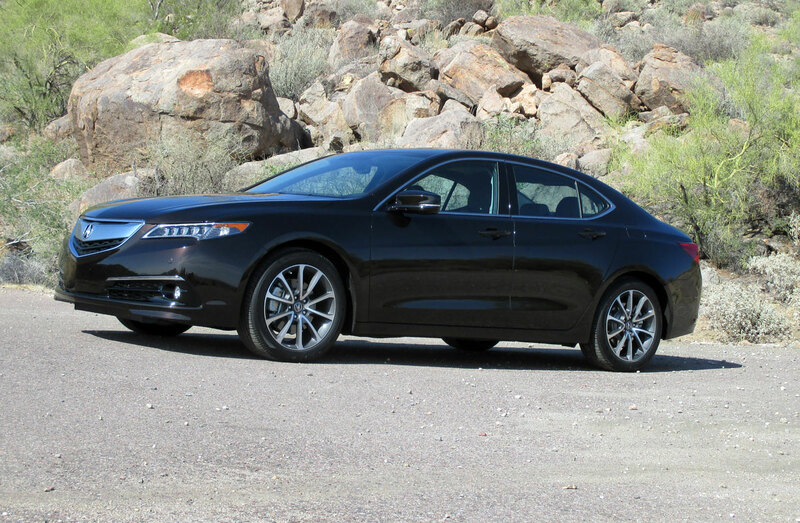 The EPA rates the 2015 Acura TLX all-wheel drive model at 21 mpg city, 31 mpg highway and 25 mpg combined. 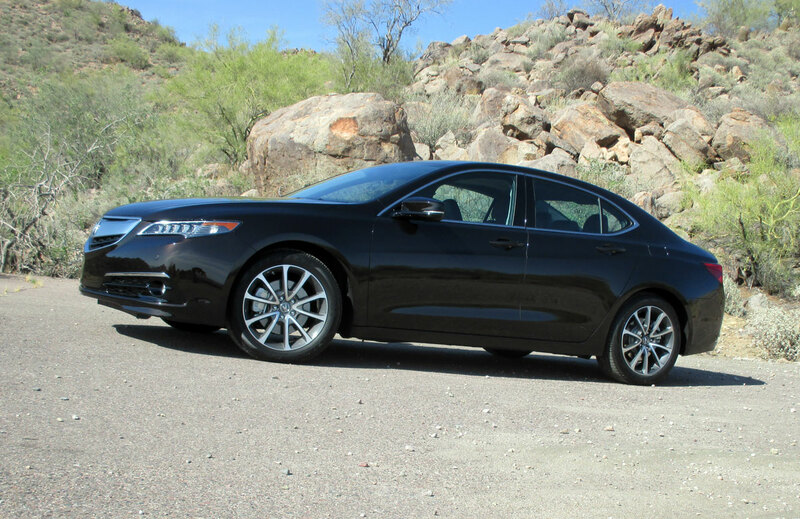 While the ECO mode is the most fuel efficient way to drive the TLX, we managed to achieve 28 mpg combined in our week set in sport mode with the AC on at all times. Not bad at all. The super-handling all-wheel drive system can direct up to 70% of the engine’s torque to the rear axle and up to 100% of that to the outside wheel for handling feel and character which nothing else in its class offers when pushing its limits. 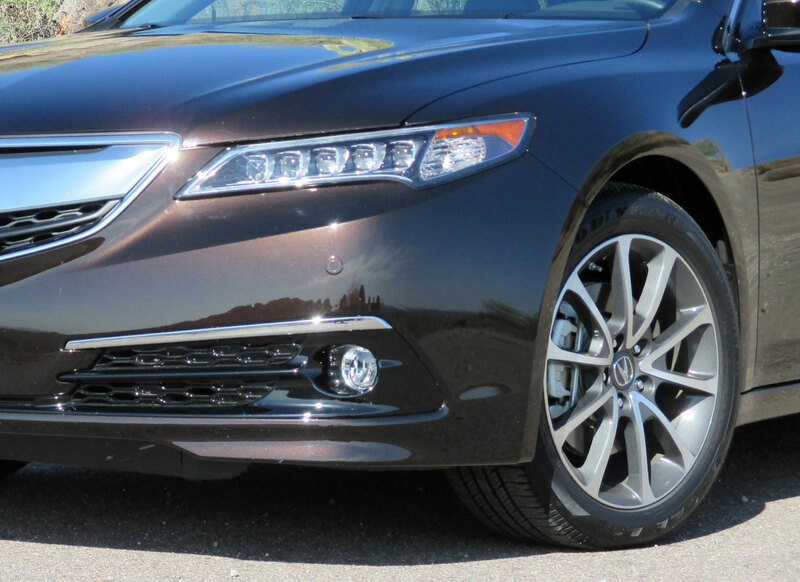 Our Advanced model offers up a comprehensive suite of driver assistance and crash prevention features which include lane keeping assist, radar based cruise control with auto braking, collision avoidance and a road departure mitigation system which will try to keep you from exiting the road surface if you aren’t. 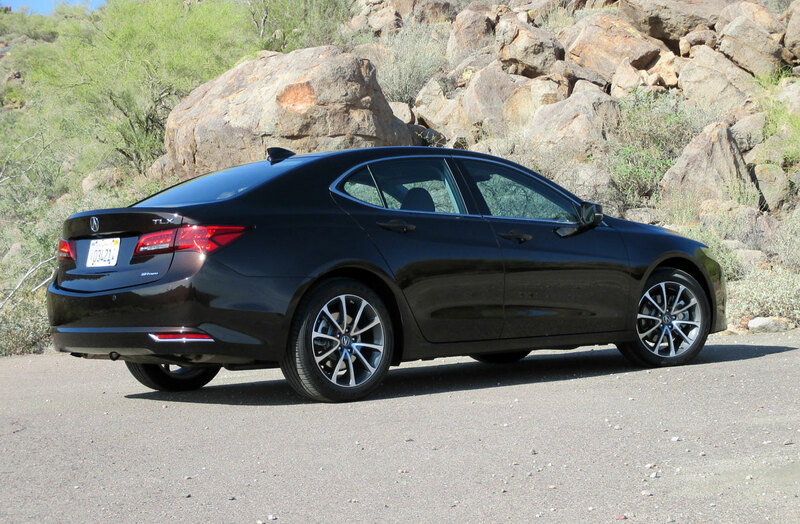 In addition to the several sophisticated crash prevention systems, the Acura TLX offers a top performing safety structure, earning a Top Safety Pick + honor from the IIHS. 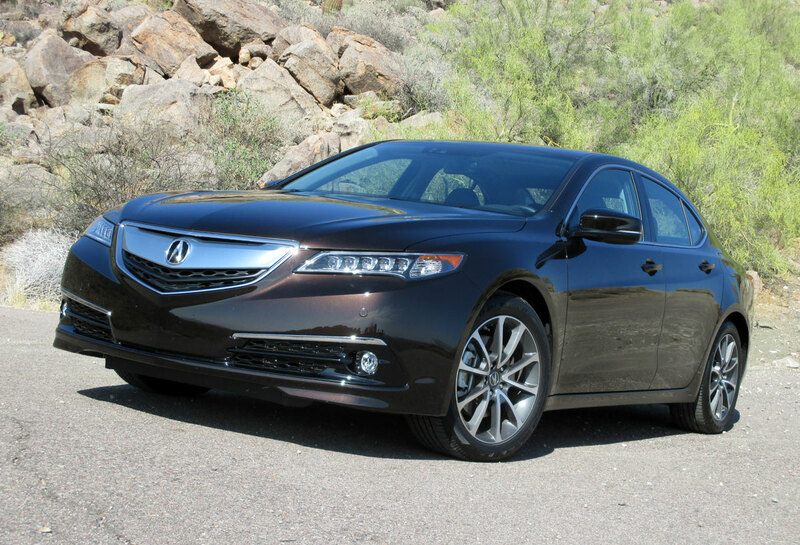 It achieved good ratings in their tests with an acceptable rating on the small-overlap crash test.